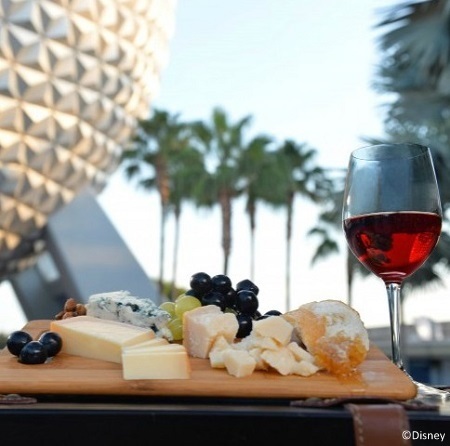 I know more than a handful of people who plan their Disney trips all around the food, and most of those folks make the annual pilgrimage to Disney's spectacular annual event the Epcot International Food & Wine Festival. Being a foodie is a way of life for some and they take their festival going pretty seriously. But - what should the average Joe need to know about this very popular season? And how does it effect the travels of those who just happen to stumble upon the Food & Wine Festival during a regular vacation to the vacation kingdom? Read on for my need to know planning tips for the casual traveler during Epcot's International Food & Wine Festival. Research research research! While Epcot is fairly self explanatory on an average day, the Food & Wine Festival changes the flow of things by putting the focus on World Showcase and International culinary delights. It's not a bad idea to take a peek at the 2016 menus and festival offerings ahead of time so that you can figure out in advance what you want to try, and where those things are located in relation to the rest of your Park experiences. Make a strategic plan before you go, and you'll be able to hit high points of the festival while still enjoying the Epcot basics. Where's the best spot to do this research? My go to planning guide for all things related to Disney Food is the much acclaimed Disney Food Blog that offers great coverage of the festival on their Blog. 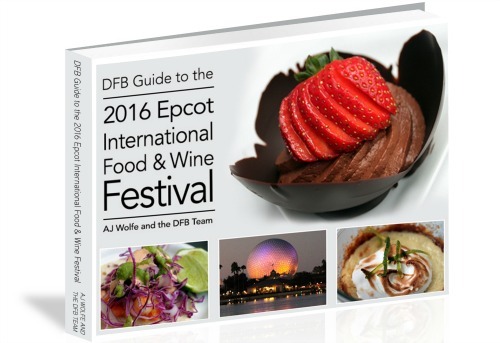 If you want to go a little more in depth with Food & Wine Festival information - Download the The DFB Guide to the 2016 Epcot International Food and Wine e-Book. By loading the PDF onto your phone you can keep it in the palm of your hand in the Park and on the go. I never leave for Disney without my DFB Guides. Stick To Your Budget. $5 here, $8 there, and soon you've made your way around the Lagoon without realizing how much money you have really spent on foods & beverages. Decided how much money you're willing to designate for tasting the flavors of the world and separate those funds from others. I like having a cash envelope to work from at Food & Wine Festival because then I'm reminded how much I have left every time I pay for a dish. 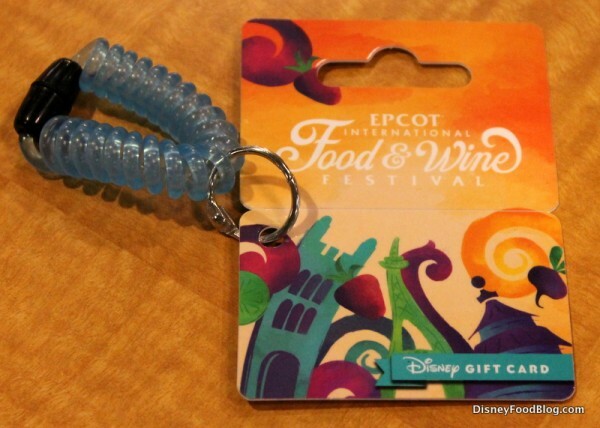 However, many people enjoy depositing their Food & Wine Festival spending onto one of the custom gift card bracelets that Disney sells. Are you using the Disney Dining Plan on your vacation? 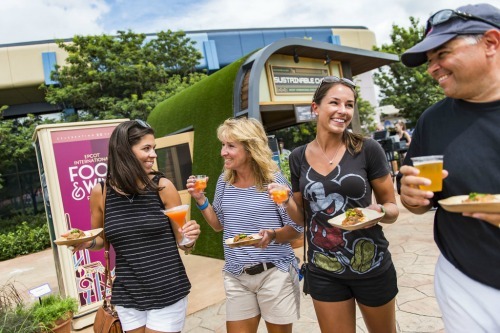 Make the most of your credits by extending your selections to the Food & Wine Festival Marketplace Booths! 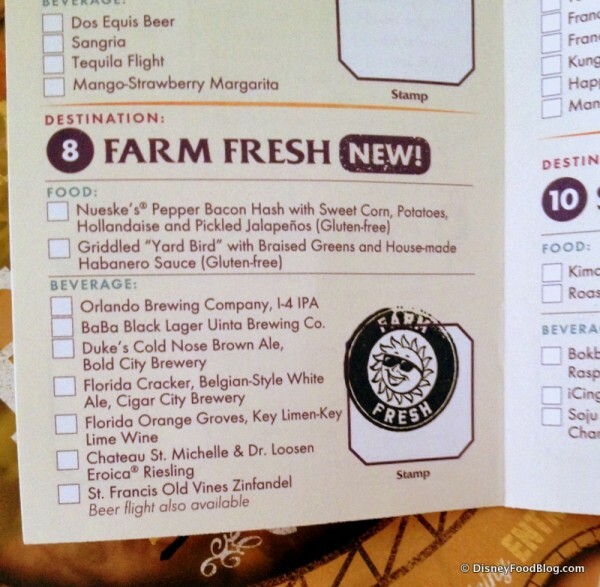 Snack Credits can be used at the Festival Marketplace Booths for non-alcoholic choices. Look for the DDP Snack symbol on the menus for festival items that can be charged to your Dining Plan Snacks. It's also worth noting that last year Disney allowed the use of 1 Quick Service credit to be used for the purchase of 3 Snack items in a single transition. I like to save all my snack credits for a trip and use them for lunch one day at the festival. If you're not looking for Grown-up adventure, Avoid the Weekends and Evening Hours at Epcot. Food & Wine Festival is extremely popular amongst the local crowd, and the Park (especially World Showcase) can become absolutely packed with festival crowds after 4pm. On weekends the party atmosphere can become even more intense, with a lot of drinking, loud music, and rowdy guests during these periods. Be sure to schedule your time at Epcot when you feel it will be most compatible with your family and touring style. Food & Wine Festival is one time of year that I wholeheartedly advocate Park-Hoppers to avoid the crowds and be able to switch to another Park when need be. Good luck, and enjoy your Walt Disney World vacation! Thanks so much to our friends at the Disney Food Blog for sharing some of their festival images with us. Do you have any need to know festival tips? Share them in the comments below!